The hardest thing about making this granita is finding enough room in the freezer for the pan. It does take some time to freeze, so plan to make this ahead of time. It holds well, so it's fine to make it a day or two before it's needed. This granita makes a wonderful, light, refreshing, boozy summer dessert. Don't skimp on the tequila when making this recipe. The flavor does come through so you want to be sure to use a quality tequila. Per Serving: 155 calories; 0g fat; 27.7g carbohydrates; 2g protein; 0mg cholesterol; 76mg sodium. 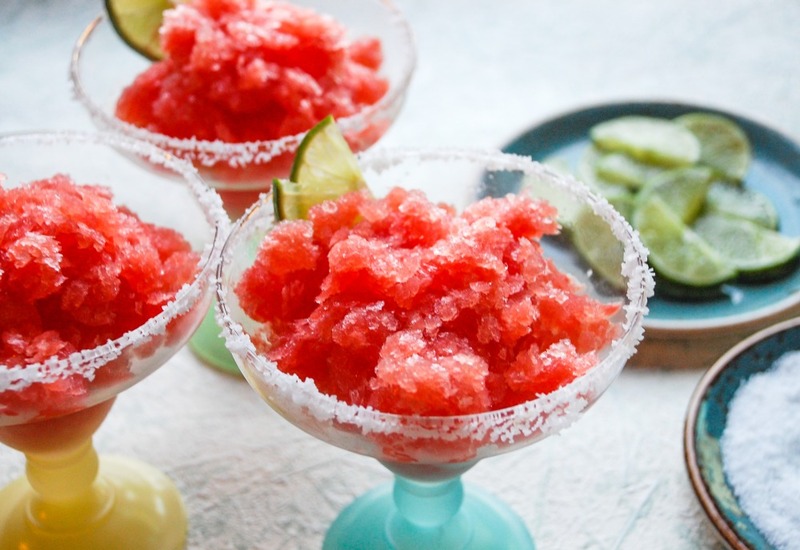 This recipe transforms a boring margarita into a fun party drink. We'll probably make them again this weekend! Not sure how it will work with other fruit, but the watermelon was amazing. We make this margarita granita all the time, whenever we have Mexican-themed nights at our house, or friends over for any other occasion. We use a top shelf bottle of tequila and it tastes amazing. This is a great recipe to follow, especially if its your first time.